Previously, when importing BOM information users were limited to making assignments from a selection of pre-defined BOM fields. With XJDeveloper 3.7 users can now define custom BOM fields. These fields allow for a wider variety of information to be imported for a project, which can be viewed in Explorer or on the Categorise Devices screen. 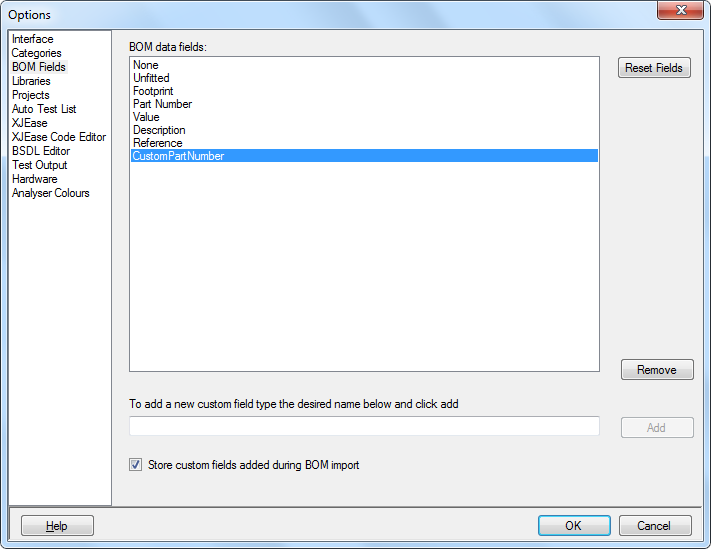 These fields can be created during the BOM import step using the Define Custom Type option, and are automatically stored for future use in other project setups. This storage feature can be disabled on the BOM fields page in the options menu, where custom fields can also be created or removed. XJDeveloper will not check custom fields for data such as part numbers and resistance values when making suggestions. For this information the relevant built-in fields should still be used. The suggested device categories on the uncategorised device selector can also filter devices by BOM information. These filter patterns are no longer limited to the BOM Value and Description fields but can be applied to all built-in and user defined fields. 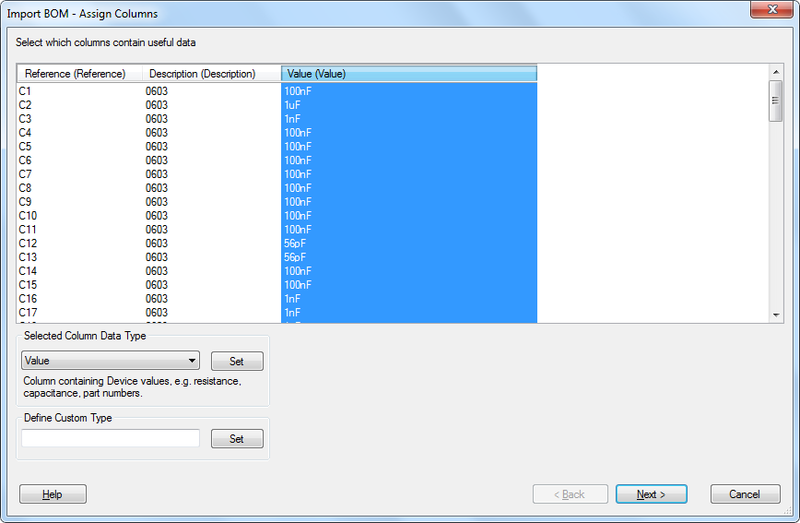 This allows the user to create new or edit existing device categories to filter by information on any BOM data. 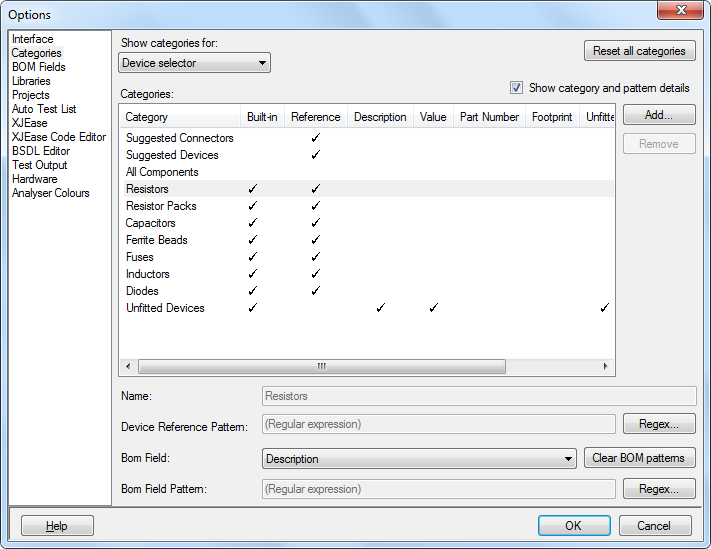 The applied patterns are edited through the Categories page in the XJDeveloper Options dialog. One useful application of this for is improving the identification of unfitted devices; previously if an Unfitted column was assigned in the BOM any devices with an entry in this column would be suggested as unfitted. This behaviour doesn’t always reflect the behaviour in the BOM, the data may contain a string indicating if the device is fitted or unfitted or only identify the fitted devices. Now the regular expression (regex) pattern applied to this column can be edited to fit the particular style of the BOM source. To help keep track of the applied patterns an alternate view for the device selector categories is available by checking the box at the top of the page. This displays the device categories in a table with tick marks next to any fields where the category has a pattern set.